If God came down to earth for a few years, what would he spend most of his time doing? Jesus’ life answers that question: he would invest in relationships. Specifically, he would devote himself to a small group of men, his disciples. Jesus had big plans for The Twelve. They would be the initial messengers of his church, so their development would be crucial. How would he mature them into the leaders he needed them to be? He might have emphasized the impact of preaching dynamic messages to the vast crowds, or healing their illnesses. But even though he ministered to the masses, Jesus did not equate crowds of people with true community. Or maybe he could have offered the disciples a series of elective classes at the local synagogue: “How to Be a Mature Believer in 13 Weeks.” While Jesus taught them the Scriptures in generous doses, his vision for their maturity was greater than education only. Preaching, classroom learning, and healing power—all of these things play an irreplaceable role in the growth of Christians. But Jesus did not choose any of these as his number one method for maturing his disciples. Instead, Jesus grew his followers in a way that, to the casual observer, might not seem like the best stewardship of his three or four years of public ministry. He picked out 12 men, men who appeared to have questionable qualifications. A tax collector. Uneducated fishermen. No Bible college graduates among them! And he devoted 24 hours a day to them, discipling them, building relationships. That was the methodology, the program, in which Jesus invested himself. He wasn’t run ragged by the administration of some huge spiritual machine. Instead, he devoted his time to a small group of close friends. This approach was very natural for Jesus. He was re-creating an earthly, human version of the kind of relationships he had known for all of eternity as a member of the holy trinity. In fact, there is a real sense in which the Father, the Son and the Holy Spirit are the greatest small group ever. God is community. And he says that wherever two or three of us are gathered in his name, he is there with us (see Matthew 18:20). So when Jesus started his ministry, he did something that felt normal for him: He focused his discipleship efforts on a handful of people in a relational setting. Those relationships deepened over the 3 ½ years they were together, to the point that at the end Jesus said, “I no longer call you servants, . . . instead I have called you friends” (John 15:15). Yes, Jesus encouraged them through teaching the Word and by exposing them to real-life situations where they could grow and thrive. But he did all of this in a personal, interactive way. And that was just the beginning. If the execution of his master plan had ended with the 12 apostles, Jesus would have seen the group as a failure. He challenged those men to multiply his method and pass it on. Just before he left, his commission to them was to “make disciples” (Matthew 28:19). Then Paul and the other first century Christians picked up the baton and rose to Jesus’ challenge to multiply Christ followers in community. For example, he reminded Timothy that his faith was strong because of the discipling efforts of a godly grandmother, who passed the faith on to his mother, who passed it on to Timothy (2 Timothy 1:5). And in the next chapter, he told Timothy to take what he had heard from Paul and share with others who in turn would pass it on (2:2). Jesus was a successful discipler because the men he discipled went out and built the same kind of relationships that he had built with them. The outcome of Jesus’ philosophy of ministry was not lots of eye-catching programs written up in ministry journals. The result was 12 men with such conviction they changed the world forever. You and I are sitting here today reading these words as Christians because of that small group of men. We live in a culture where the individual is emphasized. The self-made woman or man is the ultimate definition of success. Even Christians often miss what Jesus was modeling for us. Many churches paint a picture of Christianity rightly lived as simply me and my relationship with God. We want to be like Jesus, but we forget that some of our best growth happens when we have Christian friends around us who know us and love us enough to keep us on track. The Bible is clear that we follow Jesus best while in relationship with other Christians. God created us with a community gene. Just like Jesus and the disciples, we too can invest our lives in close relationships where we help each other grow deep in Christ—so that we can multiply the impact we’ve experienced. Many years ago, a godly man named David Roadcup discipled me and five other young Christians. 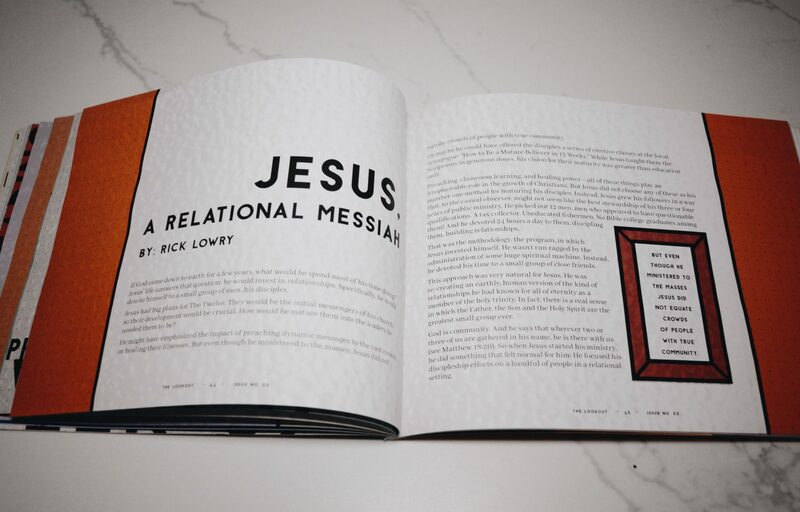 Dave used the example of Jesus for his method, as described in Robert Coleman’s book The Master Plan of Evangelism. He invited us into his home, where we learned from Dave’s teaching and the Christlike example of his family’s daily life. Sometimes we studied a Bible book or a Bible topic. Other times we jumped in the car and did a road trip to a nearby church conference or just went sightseeing together. There were evenings where we spent the whole time in prayer for our church, our community, or ourselves. Occasionally the whole meeting became a time for counsel and prayer with some member of the group who was going through a rough time. We lived life together, as a group and with Dave one-on-one. The results were life changing for all of us who were privileged to be part of that experience with Dave. All through the life of that group, we never stopped emphasizing to one another that we were building this relationship so that we could be equipped to go out and reproduce the same setting. Those of us whom Dave discipled left that group with a resolve to pass it on. I’ve been doing that for nearly 40 years and have personally discipled over 100 men. Dave also has continued this practice. Between Dave’s own discipling groups and those of the Christians he has discipled, I calculate that Dave’s life has impacted thousands of people for Christ. And it all started with one group—just like Jesus’s example. Can you think of a few other Christians in your life that you could get together with and help each other grow deep in Christ? If you do, you’ll be imitating Jesus and his priorities. And what if the change in your life begins to rub off on the other Christians around you? What kind of difference would it make in your church? In your family? In the city where you live? People today ask, “What would it take to change this world?” Jesus has already shown us one effective way to change it—by building relationships with one another that have him at the center. Rick Lowry is groups minister at First Church in Burlington, Kentucky. He is also an adjunct teacher for Indiana Wesleyan University and Cincinnati Christian University.